The RISC curriculum is open to master students with a background in either mathematics or computer science and a strong interest (and preferably prior knowledge) in the respective other area. Master students already hold a bachelor degree in mathematics or computer science and pursue a corresponding master program at the Johannes Kepler University. They can attend RISC courses and get credit for them according to the rules of their program, e.g. as elective courses. During their course work, students may get into contact with a RISC professor to agree on the supervision of a master’s thesis. There is a list of available theses topics. Note, however, that student and supervisor can agree on any topic, not just on those from the list. Specifically the master program Computer Mathematics at the Johannes Kepler University has been designed to allow students of mathematics to specialize in symbolic computation by attending numerous courses of the RISC Symbolic Computation curriculum. Likewise, students of the master program Computer Science at the Johannes Kepler University can participate in the symbolic computation curriculum via various elective courses such as the course Formal Methods in Software Development (in the major subject Software Engineering) or the course Computer Algebra for Concrete Mathematics (in the major subject Computational Engineering). The details are described in the official curricula of the respective study programs. 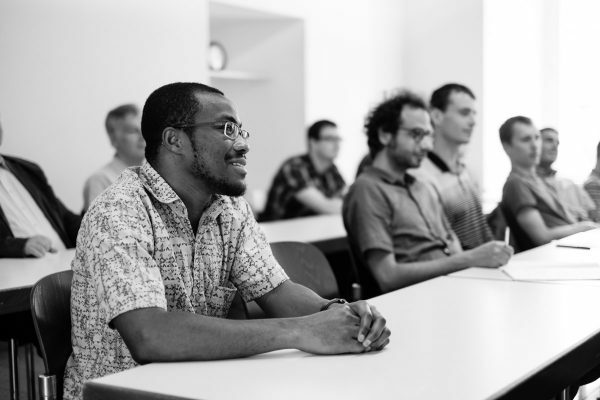 If you are interested in pursuing a master thesis at RISC, please contact a member of the RISC faculty whose research and course topics match your interests. See also the list of open thesis topics for some possible topics (other topics are possible as well).